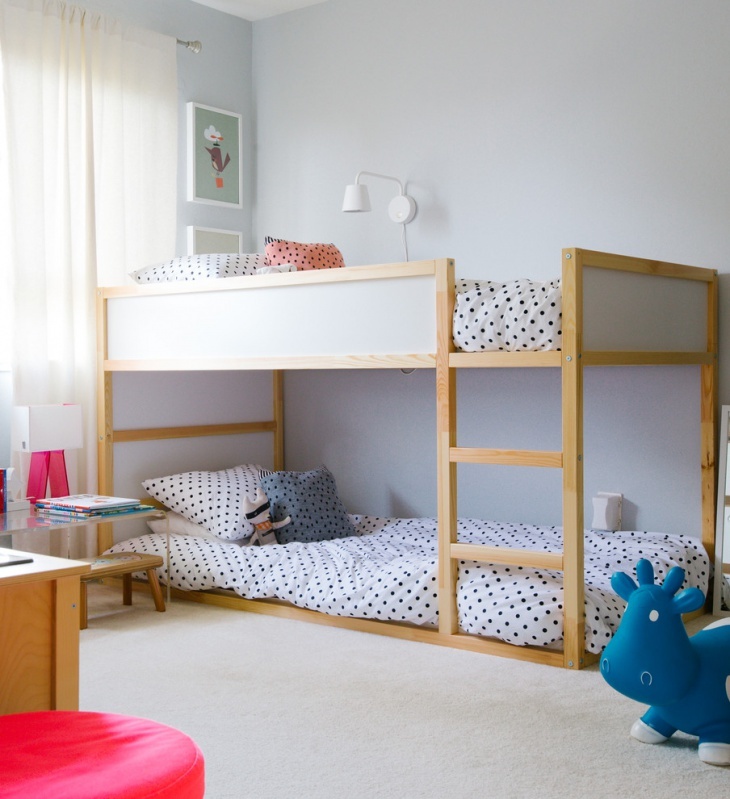 Small bedrooms have been traditionally preferred for kids by many families. 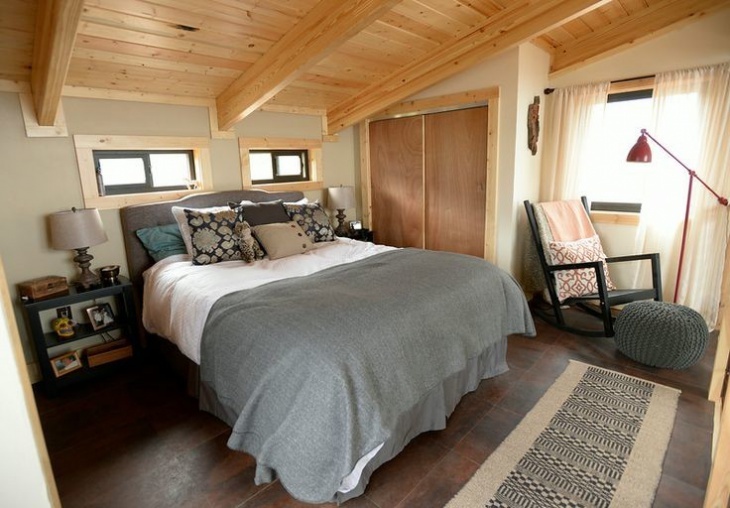 In these small rectangular rooms, a wooden bed is placed at the top right corner. A grey-based carpet on the floor is ideal for the room. The white walls look good with a matching portrait, and you can arrange for a vibrant, red sofa beside the bed. 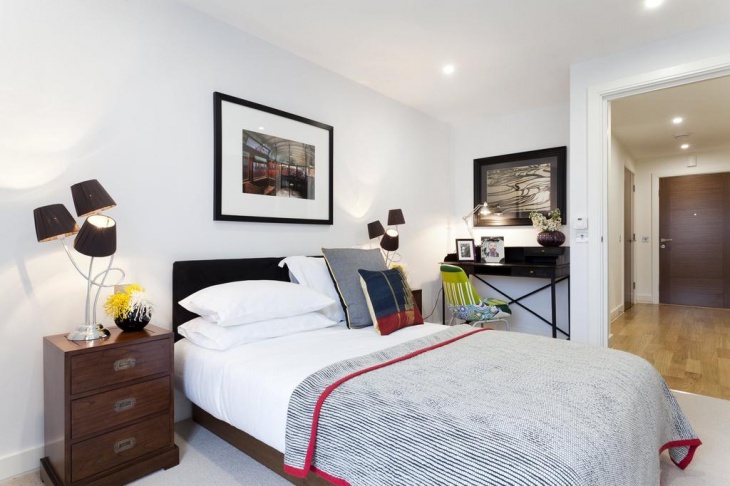 People with an inclination to the white colour can opt for this tiny bedroom design with white cabinets. 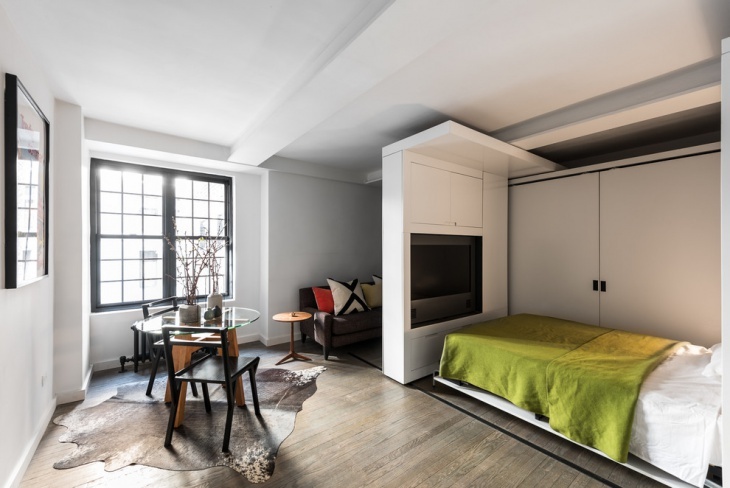 You can make the optimum utility of space when you incorporate tall cabinets on both the top corners of the bed. Place the taller ones above the shorter ones and these go well with the white false ceiling and navy blue curtains. 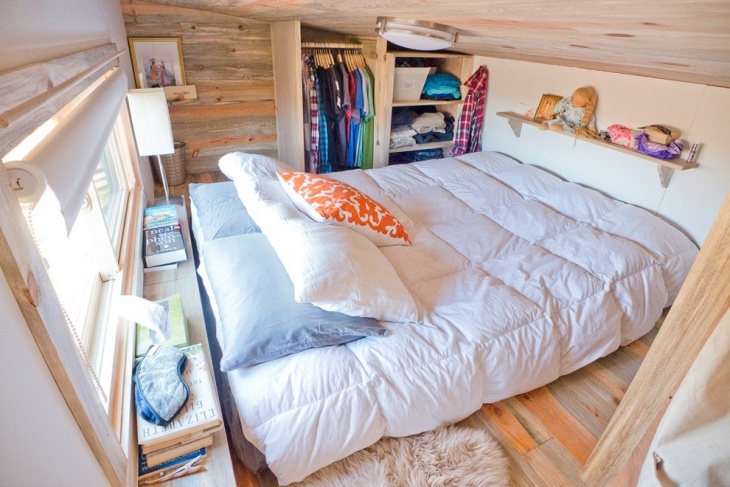 Rooms with a small bed on a hardwood floor crave for the right accessories for decoration. You can install a small glass table with wooden support on a rug. The dark coloured chairs enjoy a great contrast with the wooden frames of the window. The overall white paint of the room along with the white bed cover gives it a sophisticated look. 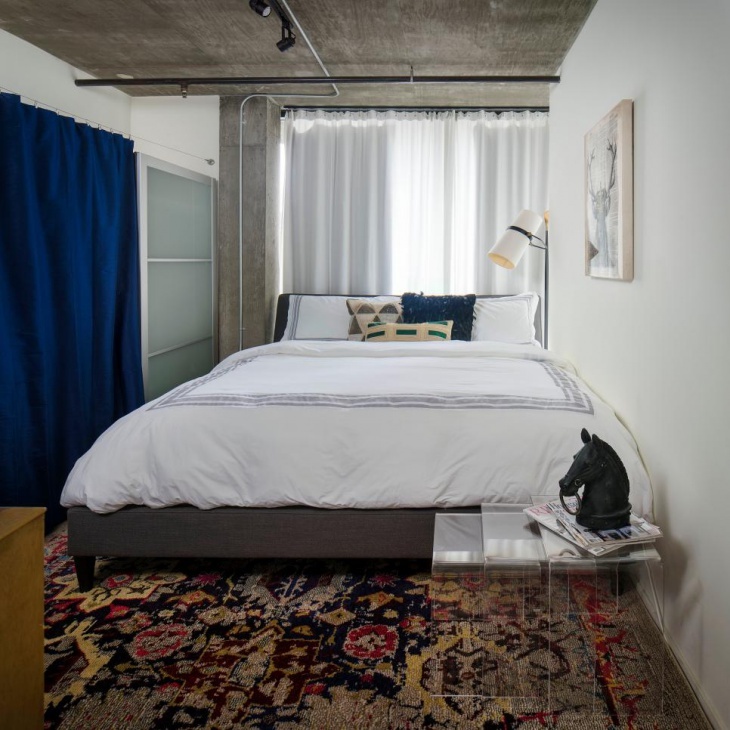 There are a number of contemporary low-ceiling bedrooms with square glass panes. You can get a white paint over for the walls and a brown coat for the ceiling. A stylish light hangs from the ceiling right above the bed with a brown headboard. This goes well with the tray ceiling. A small indoor plant at a corner has a great match with the room. 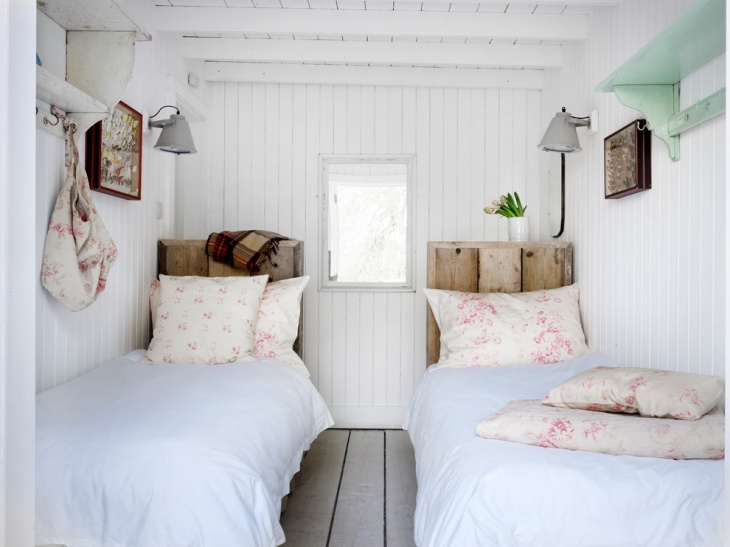 Small bedrooms can be made symmetrical to accommodate two beds on the two sides of the room. 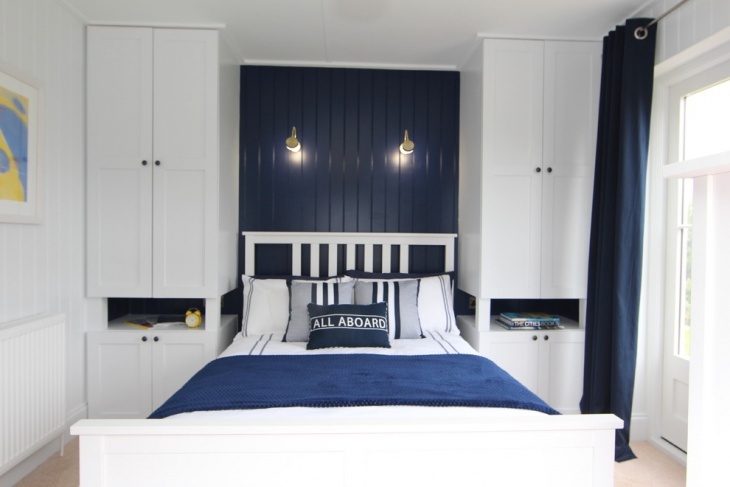 There are wooden side-planks in place of the headboards, and the white walls and ceiling have a great match with the wooden shelf brackets. This style can be incorporated in small cottages with wooden ceilings. 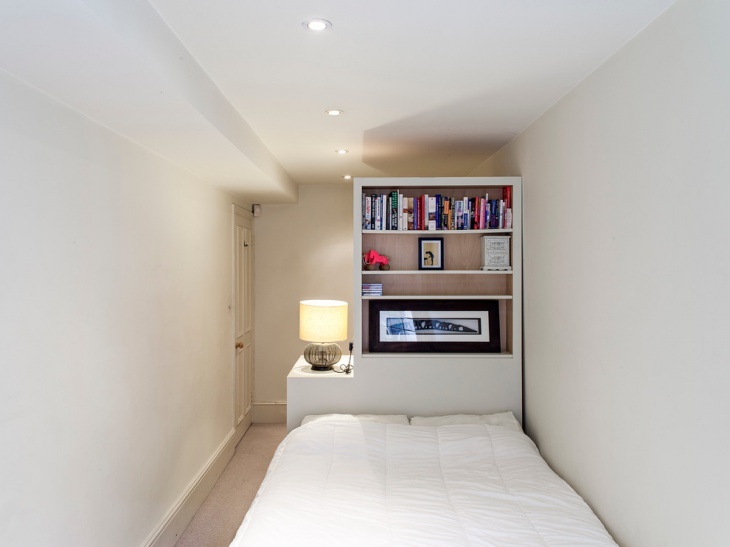 Rooms with narrow beds look compact when you place the right accessories there. The white curtains and bed-sheet complement each other. They have the right contrast with the dark walls. Place a white-framed portrait on the wall to make the room elegant in look. 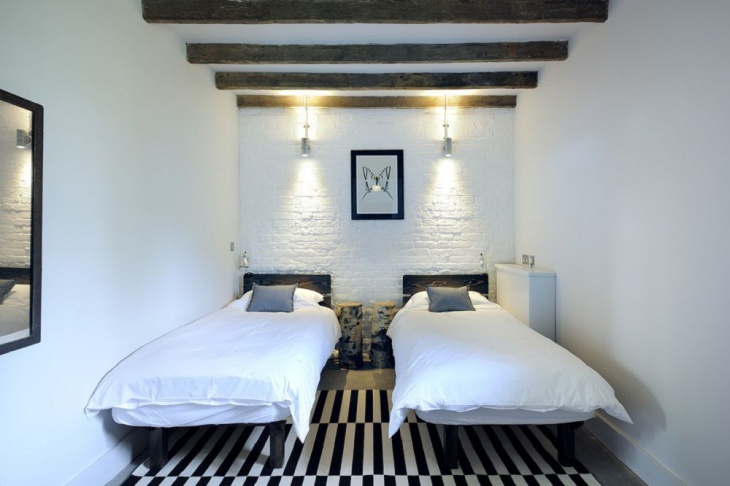 Small bedrooms for the guests can be made luxurious when there is a light, polished wooden floor. The white beddings and the walls enjoy a great compatibility. Paint the upper half of the walls in a light olive green colour. 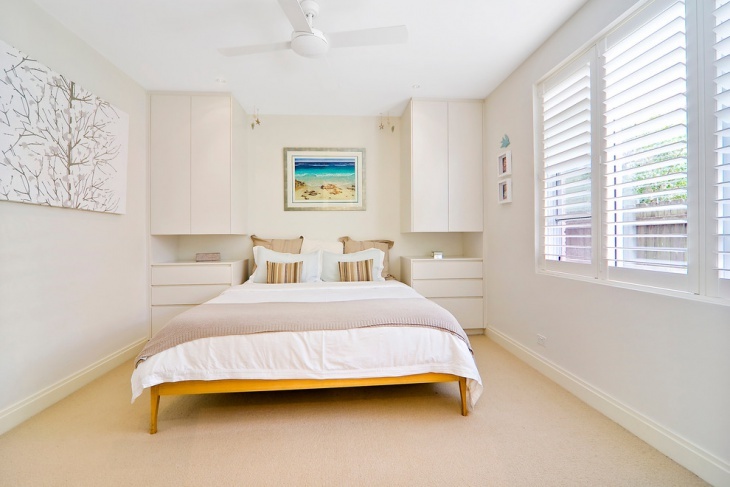 A circular ceiling light above the bed makes the guest room sophisticated. 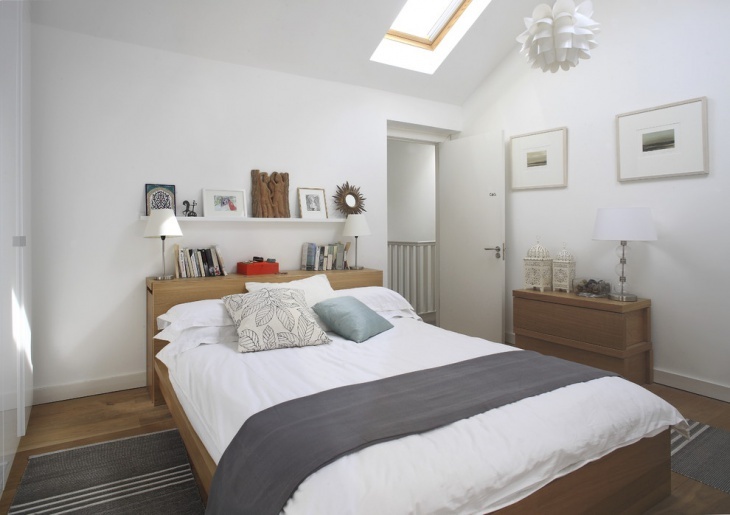 Modern bedrooms with a limited space looks great when the pop ceiling ideas are incorporated. The light brownish floor and white walls look great. There are corner cabinets in the room, painted in white that provides ideal storage facilities in the room. Glass windows have a right match in this setting.